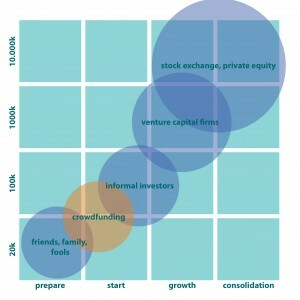 What is the market for crowdfunding? Will the amount of finance raised through crowdfunding increase? The US House of Representatives passed a crowd-funding bill allowing startup companies to sell equity by way of social networking and crowd-funding websites. Potential investors will be able to invest only the lesser of 10 percent of their annual income or $10,000. Additionally, the startup entity can raise only $1 million to $2 million. In the UK equity based crowdfunding has always been possible. Those wishing to invest more than £5K through Crowdcube self-certify as sophisticated investors. The Chancellor has announced that people investing up to £100,000 per annum in a qualifying start-up business will be able to benefit from income tax relief of 50 per cent from April 2012. According to some estimates crowdfunding initiatives have so far raised about $80 million, If you include Kiva’s $205 million in loans to entrepreneurs in the developing world the total coulkd be $280 million. (see this video of Kiva’s loans). 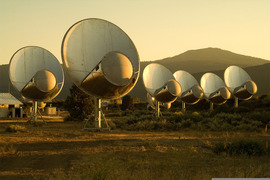 SETI Stars has raised $228,541 when asking for $200,000. The Rushmore Group hit the headlines by raising a £1 million on Crowdcube. The Rushmore Group, owner of three members’ clubs in London, today secured its £1 million, in only 4 weeks, from 143 investors to fund the development of a new venue in London. The previous record was a project on US-based crowdfunding giant Kickstarter, which raised $942,578. Kickstarter has more than 400,000 followers on Twitter and raised $60 million for 10K project in its 2.5-year history. The graph shows increase in Kickstarter’s revenue over 2010. Though the size of the market is growing fast it is still a minor source of funds compared with other forms of investment. See the slideshare below for a more in-depth analysis. New platforms are launched across the world each month (see the ever-growing list of UK platforms in the menu bar above) but they are yet to create a sustainable business model. Jonathan Jenkins wrote that there was a fundamental issue of the critical mass needed beyond the immediate social networks of the entrepreneurs. As stated elsewhere in this blog – this is one of the key issues for crowdfunding campaigns – how to reach out beyone friends and family to the wider public and persuade them to invest in their projects.